This personal genomic screening is based primarily on results from genome wide association studies (GWAS). A GWAS study is an examination of a genome-wide set of genetic variants in different individuals to see if any variant is associated with a trait. The past five years have witnessed widespread scientific and social interest about whole genome sequencing technologies and their possible commercial applications to human health. Many emerging personal genomics companies are health-focused, but others, as previously mentioned, are taking a more curiosity-based approach to genetics. 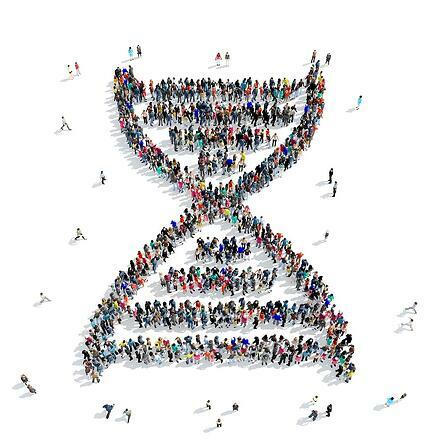 Whatever the personal genomics offering, DNA sample management is key to establishing scalable genetic screening business models – from optimizing the consumer experience, ensuring quality samples and delivering accurate information. Whether the approach to market is mail-based, direct-to-consumer or in-person at a business location (i.e. Fitness center), one must consider how the DNA sample affects many aspects of the business. Blood collection is invasive, and presents risk of infection for the donor, requires in-person collection from an experienced phlebotomist and shipping logistics are complex and costly. Buccal swabs eliminate these problems; however only yield a small amount of human DNA often too degraded to perform accurately on downstream applications, especially on sequencing platforms. So what is the best method to collect DNA for personal genomics companies striving to deliver consumer-friendly, efficient and accurate genetic information? How will you maximize donor compliance? DNA collection needs to be fast, easy and painless to maximize donor compliance and reduce human error. Collection should also be risk and worry free. Avoid methods that could cause harm, discomfort or stress to your consumers. Can your samples be transported and stored efficiently? Shipping samples is challenging – airplane pressure changes, freeze-thaw cycles, movement by heavy machinery are all factors that can have an impact on shipping. The collection kit you choose must be robust and proven to withstand common transport challenges. A sample method that immediately stabilizes high-quality DNA at ambient temperature will reduce shipping complexity and cost and prevent poor quality results when analyzed. Finally, long-term DNA stabilization is critical when considering how and where to store your unprocessed samples - ambient temperature storage does not require freezer space and is highly cost effective. How will your samples be tracked from donor to lab? The sample method you choose needs to have a donor identification or bar coding system for confidentiality and to prevent cross-referencing samples and delivering incorrect data to the donor. Who will you process and analyze your DNA samples and how will you communicate results to consumers? The company you choose for genomic services must be able to efficiently and accurately analyze the DNA sample type you choose and translate data outputs into meaningful results. Look for a company with the appropriate lab certifications (ex. CLIA, CAP) who has expertise in logistical and regulatory support, as well as comprehensive lab services and interpretation. Will your DNA samples meet analysis requirements? More and more labs are moving to sequencing analysis platforms – which are significantly more complex than PCR and SNP genotyping. Sequencing (including whole genome) requires DNA of high molecular weight (not degraded by bacteria or environmental factors) to produce accurate results for consumers. Companies looking to offer sequencing now or in the future must consider a sample method that can deliver an abundance of high-quality DNA to meet a variety of analysis applications. Are you prepared for lab scalability? Automated DNA extraction will maintain sample processing efficiency as your business grows. The sample method you choose must be able to integrate into a high-throughput extraction system. Can you scale your collection across geographies? To provide the most efficient service to consumers, well-organized sample transport from donors’ homes or multi-sample collection sites is critical. Ensure your sample method has the appropriate transport and custom clearances to ship easily, whether in country or around the globe. Do you have the required regulatory approvals? The provision of genetic information is tightly regulated, especially when information is provided directly to consumers. Regulatory systems differ from country to country and genetic companies may be required to work within these regulations before they can begin offering genetic information. The sample method you choose must meet these requirements and the vendor should be equipped to guide you through the process easily and efficiently. How will you package your DNA collection kit to reinforce quality service and maximize brand awareness and perception? You will create a collection package comprising of a DNA kit, user instructions and shipping collateral. Now consider how this package will influence the user-experience. The look and feel of your user package should represent and reflect your unique brand and service offering while communicating easy to follow instructions. Finally, the package must be constructed of materials that can withstand strenuous transport conditions – reinforcing your high-quality service image. Are you prepared to fulfill high volume shipping of your DNA collection kits? As the demand for your genetic service increases, so will the demand to ship DNA collection kits to your consumers. Your kits will require careful assembly, tracking, shipping preparations and storage capacity. You may also require multiple configurations of your collection kits (ex. family vs. individual collection, child vs. adult). To avoid the cost and responsibility of a warehouse operation, you can consider outsourcing to a company to handle these assembly and logistical demands. Read on to learn how DNA Genotek’s products and services answer these questions and more to help personal genomics companies get ahead. DNA Genotek’s Oragene® kits offer a very simple and fast method to collect and stabilize high-quality DNA in saliva while reducing human error. See the collection steps for more information. With DNA stability for years at ambient temperature, Oragene products reduce transport and storage cost and complexity compared to blood. The collection kits are also robust and can withstand multiple freeze-thaw cycles, air-pressure changes and other physical transport and storage challenges. Oragene/saliva samples are widely accepted and used in genomic service laboratories across the globe. In cases where a lab does not have direct experience, DNA Genotek will work to assist the lab with smoothly integrating Oragene/saliva samples into their workflow to ensure efficient processing and downstream accuracy. For full end-to-end genomic services, DNA Genotek’s GenoFIND™‡ offers accurate and comprehensive lab services with bioinformatics analysis and interpretation. The quality of DNA obtained using Oragene products is equivalent to that obtained from blood for downstream analysis1,2 including Whole Genome Sequencing, and can be extracted using a variety of automated platforms, such as QIAGEN QIAsymphony® and TECAN Freedom® EVO liquid handling robot. DNA Genotek has knowledge and experience with sample transport (including cross border shipping) and regulatory clearance processes. DNA Genotek’s Oragene®•Dx and ORAcollect®•Dx product lines are the first and only FDA 510(k) cleared saliva-based DNA collection devices for in vitro diagnostic use in the United States+. Lastly, GenoFIND’s product customization and order fulfillment capabilities allow genetic service companies to focus on their business objective while DNA Genotek addresses full sample management and integration. Our consultants have developed hundreds of fully customized sample offerings and have expertise in package design, graphic treatment and a full range of kitting and logistic services. Oragene saliva kits coupled with GenoFIND services‡ offer a proven way to build cost-effective, flexible and scalable personal genetic test offerings. Personal genomics companies looking for experienced advice, support and end-to-end solutions for DNA sample management are encouraged to contact us – we can help you get ahead. 1 Comparison of DNA yield from saliva and blood. DNA Genotek. PD-WP-012. 2 Comparison of DNA from blood, Oragene®/saliva and buccal swab samples on the Illumina® BeadChip 610Quad assay. DNA Genotek. MK-00089. + Oragene•Dx and ORAcollect•Dx are FDA cleared for in vitro diagnostic use with the eSensor® Warfarin Sensitivity Saliva Test. ‡ GenoFIND laboratories are CLIA/CAP certified, although data is reported using a research-use only workflow. Full CLIA LTD assay validation is available upon request.